Unleashed from Hell, a powerful demon threatens not only humans on Earth but all souls as they transcend to higher planes. 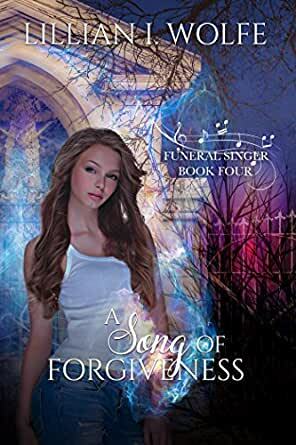 In its path stands Gillian Foster, the Funeral Singer, a musician who has been granted gifts that allow her to speak to the recently dead and battle evil spirits. Still rebelling against her unwanted paranormal skills, Gillian's now facing an invasion of soul-eaters bent on destroying everyone she loves along with the rest of humanity. Two things are certain— One, she needs to gain control of her ever-growing gift to stop the invasion before it reaches Earth. Two, she must find more supernatural aid in the battle for eternal life. Will her skills be enough to drive the demon back to Hell and seal the portal? I was privileged to be a “beta reader” for this book. It continues the exciting journey for Gillian, “The Funeral Singer”. Sometimes series books disappoint in the continuation of the story or lets the excitement ease off. THIS BOOK DOES NEITHER! Some of the descriptions were so well done, I wondered if the author had experienced them herself. I highly recommend this book and this series! !